There are few activities in the sales world as challenging to perform as cold calling. Why? It’s not because cold calling is particularly difficult; it’s just that many sales professionals lack the proper skills and training required to perform cold calling effectively. The required skills vary from those used in standard sales training. In fact, aside from the challenging lack of visual cues that come with all phone sales, cold calling has its own unique set of hurdles to overcome. When opening a call, studies show that a sales rep has less than 10 seconds to make a positive impression, and this initial impression will set the tone for the rest of the conversation. How can this 10-second window be maximized to tip the scales in favor of the sales professional? By having a well-prepared, value-leading opening statement. On an outbound call, the sales rep needs to establish right up front exactly what’s in it for the customer. Before the customer considers staying on the line, they need a clear understanding of the value to doing so. If the sales rep fails to instantly connect the “value” dots it could cost them the call and the customer. Gone are the days when salespeople can afford to “wing it” and hope for the best. Prior to your opening you should be doing a pre-call warm-up. (This is not meant to take any emphasis away from your opening, but merely to provide some talking points throughout the call.) Before you pick up the phone, do all the research you can on the company. Scour their website for information: read blogs, find out who their clients are as well as their competitors, learn about new product launches, etc. Even better if you happen to know the name and position of the person you’ll be calling. See if they have a bio on the website, take a quick peek at their LinkedIn page – glean as much as possible. You may even find commonalities e.g., you’re both from upstate New York. Being armed with this information will give you the opportunity to show that you’ve done your homework, but it will also help you if the conversation lulls or you need recovery time. Warming up for your call is just like warming up for a workout – the better you stretch and get your heart rate going, the better you’ll perform. A fast talker – This may imply that the speaker is untrustworthy or has something to hide. It also indicates a lack of confidence. Poor diction – The inability to communicate clearly with appropriate word usage sends the signal that the speaker is uneducated or unintelligent. Monotone – A lack of intonation can communicate that the speaker is bored, lazy or just generally uninterested. As is true with any skillset, practice makes perfect, and cold calling is no different. We have worked with many sales teams in transforming their approach to cold calling – what was once viewed as a frustrating activity is now viewed as an exciting challenge. Read more about our cold calling sales training and our sales prospecting programs. 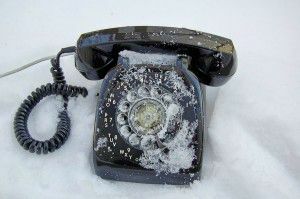 Do you have a specific cold calling challenge? If so, we’d love to hear about it.